After awarding $21.7 million in compensatory damages, a Los Angeles jury added an additional $4 million because, it concluded, Johnson & Johnson maliciously concealed the truth about talcum powder. 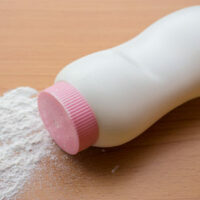 That truth, according to the plaintiff in the lawsuit, was that the cosmetics firm “engaged in a multi-decade campaign wherein they hid testing data from regulators, altered reports to make them more favorable and lied to consumers.” A 66-year-old woman claimed that she used talcum powder for decades and, as a result of that use, now suffers from mesothelioma. In response, Johnson & Johnson said it was “disappointed” with the verdict and would appeal. “Over the past 50 years, multiple independent, non-litigation driven scientific evaluations have been conducted by respected academic institutions and government bodies, including the U.S. Food and Drug Administration, and none have found that the talc in Johnson’s Baby Powder contains asbestos,” the company insisted. Earlier this year, a New Jersey jury heard similar evidence in a similar case and awarded $117 million in damages. Mesothelioma is a very rare and extremely aggressive form of lung cancer. Microscopic asbestos fibers trigger a process which ends with a cancerous tumor in the lining between the heart and lungs. Talc is one of the softest minerals on earth. Chemically, it is very similar to asbestos. The fibers are incredibly small. About 20,000 can fit between Abraham Lincoln’s mouth and nose on a U.S. penny. These fibers are small enough to be inhaled or even soak directly through the skin. In general, cancer survival rates have gone up substantially since the 1990s. But there are a number of reasons why mesothelioma remains almost as deadly as it was before. Mesothelioma has an extremely long incubation period. This latency period makes it very difficult to diagnose. This lung cancer is frequently misdiagnosed as Non-Small Cell Lung Cancer. So, doctors sometimes embark on the wrong treatment regimen. By the time the mistake is corrected, the mesothelioma is often already in an advanced stage. Mesothelioma tumors are in a very sensitive location. It is very difficult to remove them surgically or shrink them with radiation. Mesothelioma is no longer the death sentence that it was in the 1980s and before, but medical progress comes at a price. Mesothelioma treatments often exceed $10,000 a month, largely because doctors must use expensive, cutting-edge therapies and drugs. Typically, talcum powder lawsuits assert that Johnson & Johnson knew about the potential risks yet hid these risks from consumers. Such cases require an attorney with significant resources. For every expert that the victim/plaintiff offers about the talcum powder-mesothelioma link, the drug company will offer another expert who testifies that talcum powder is 100 percent safe. Some ordinary consumer products cause serious injuries. For a free consultation with an experienced personal injury attorney in Tampa, contact The Matassini Law Firm, P.A. After-hours appointments are available.